What They Say....An evocative novel in the vein of Kate Morton and Daphne Du Maurier, in which the thrill of first love clashes with the bonds of sisterhood, and all will be tested by the dark secret at the heart of Applecote Manor. What I Say....I usually don't see the comparisons to other authors as being especially valuable - too often I don't see it, or it causes me to have different expectations of a book. However, in this one, I do see the comparison to Kate Morton as being accurate. I was just talking to a friend the other day about authors that publish 2-3 books per year vs the ones who publish a book every 2-3 year (I'm looking at you, Kate Morton) and if it really makes you more anxious for the next book or if you actually start to forget about them. Kate Morton is a bit of both for me - I forget about her, but then if I see she's published something new, I'll read it and remember why I liked her so much. But there's really been no one else like her for me, especially since I love period pieces where they go back and forth in time. 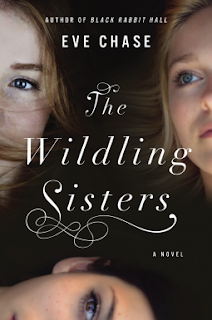 The Wilding Sisters follows this formula. You bounce between the story of the four Wilde girls who are sent to the country to stay with a grieving aunt and creepy uncle. As they find excitement with the local boys, their relationships start to change as love and jealousy intrude on their close bond. Margot is obsessed with her cousin's disappearance and cannot stop focusing on what happened to Audrey. The village folk seem to already have convicted her Uncle even though there was no evidence that he had anything to do with it, and her Aunt seems to be mistaking Margot for her missing daughter, all of which make for an awkward summer. Meanwhile in present day, Jesse has moved into Applecote Manor with her daughter, stepdaughter and weekend visiting husband. Her stepdaughter is focused on the missing girl from the past, and seems to hate both Jesse and her baby girl. I never like to give spoilers, and there were mysteries in both storylines. But (spoiler alert), one part that I didn't care for was why would Audrey's killer first offer one story of how she died, then give a totally different one to the same person the next day? I kind of understood in the first story it was presented as an accident, but really in the second story, it could have been an accident too, it's never determined that it was purposeful. Or I missed something. The one problem with the time jump novels is that just when you get into one section, you get pulled into the next time without much warning. It can be a little jarring at times, and I was definitely more interested in the past than the present. But overall, it was really good, and I'll watch for Eve Chase's next book. I wonder if it will be 2-3 years away.